How did the PokerNews team do in their predictions for the 2018 World Series of Poker? Find out here. Back in May, PokerNews released a predictions piece in regards to the 2018 World Series of Poker. Some bold predictions were made, and we thought we’d sift through the ashes to see who was right and who was way off base. Among those to share their guesses were iBus Media Head of Content Frank Op de Woerd, Global Live Reporting Manager Yori Epskamp, Head of Video Sarah Herring, PokerNews Strategy Editor Martin Harris, staff editors Mo Nuwwarah and Valerie Cross, seasoned tournament reporters Will Shillibier and Chad Holloway, and PokerNews UK editor Matthew Pitt. Which poker pro will go on the first Twitter rant of the series? Allen Kessler was the favorite in this category, but plenty of players beat “Complainsaw” to the punch this summer. In fact, none of the PokerNews team got this one right, and that’s because no one would’ve guessed Matt Berkey would be the one to go off on a rant. Right or wrong, first Twitter rant of the 2018 WSOP goes to Berkey. How many women will win open bracelet events in 2018? Jessica Dawley and Farhintaj Bonyadi were the only two women to capture gold this summer, but neither did it in an open event. The former won the Ladies Championship and the latter took down the Super Seniors Event. The collective PokerNews Team guessed between 1-3 bracelets, so no one got it right. The furthest off would be Shillibier and Cross, who were both optimistic calling for a trio of female winners. Editor's Note: The WSOP team reminded us Nikita Luther won a bracelet in the tag team, so there actually was a winner in an open event, albeit maybe with an asterisk. Who will win the $50,000 Poker Players' Championship and who'll conquer the $1,000,000 Big One for One Drop? The winners wound up being Michael “The Grinder” Mizrachi in the $50K PPC and Justin Bonomo in the Big One for One Drop. Congratulations to Herring on being the first PokerNews team member to get one right as she called for Bonomo to win the Big One for One Drop. “He has been crushing high rollers lately and should have no problem getting the money together to play the event,” she said at the time. 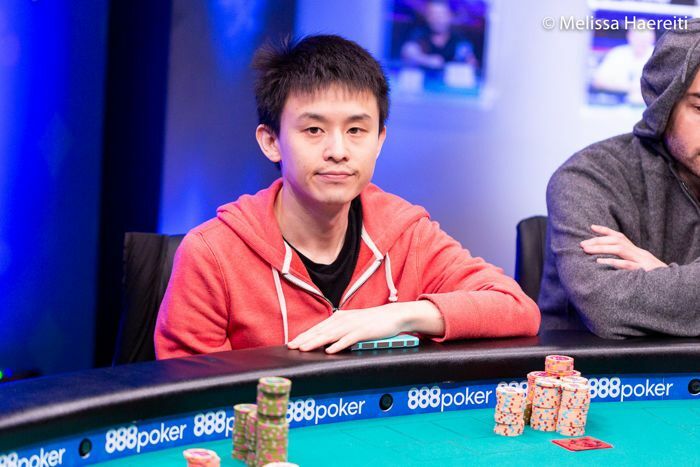 Indeed, he’s now poker’s all-time money leader thanks to a pair of bracelet wins this summer. No one guessed Mizrachi to win the $50K, but then again, who could’ve seen that one coming? Will the Big Blind Ante be deemed a success at the end of the series and will it return in 2019? The entire team was optimistic for the big blind ante, and indeed it seemed to go over well in the events in which it was utilized. By all accounts it was a success, and while it’s too soon to tell, all signs point to it returning in 2019. We’re going to go ahead and say everyone got this one right. What will 2018 be 'The Year Of’? Nuwwarah said it’d be the “year of the comfortable human in the Rio,” but with both a blackout and a broken air conditioning that was a big swing and a miss. Other guesses included the year of the Germans, limping and mid-major grinders. Multiple bracelet winners in 2018: Shaun Deeb, Justin Bonomo and Joe Cada. Count ‘em, that’s three. Who will win more money at the series, Doug Polk or Daniel Negreanu? This one wasn’t even close as Doug Polk, who skipped the vast majority of the summer, had $0 in winnings while Daniel Negreanu, who played pretty much every day, had five cashes for $110,103. That said, taking buy-ins into account, Negreanu actually lost more money this summer than Polk, at least when it comes to WSOP tournaments. That said, this was a clean sweep for Team PokerNews given the question as everyone predicted “Kid Poker” to prevail. Nuwwarah said it best: “There’s just a huge difference in volume.” That was certainly the case at the 2018 WSOP. Which under-the-radar player will have a huge breakout summer? Out of all the guesses, just one captured a WSOP bracelet, so we’re going to deem Epskamp’s pick of Michael Addamo as the winner. Addamo proved him right topping a field of 1,637 entries to win Event #24: $2,620 The Marathon for $653,581 and his first bracelet. Addamo also finished 77th in Event #43: $2,500 NLH for $5,653 and 16th in Event #74: $10,000 NLH 6-Handed Big Blind Ante for $32,700. 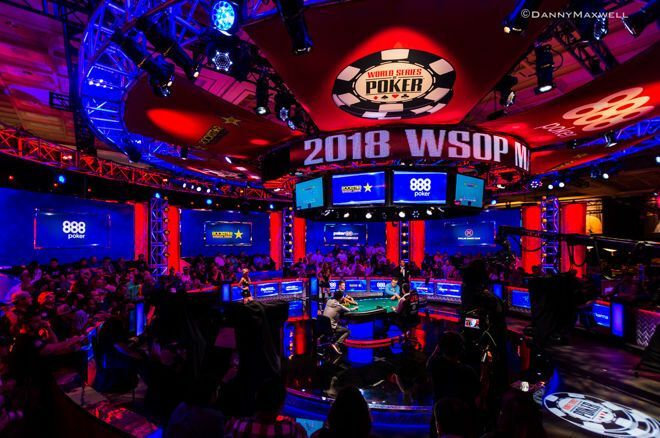 The 2018 WSOP Main Event proved to be the second-largest in history with 7,874 players, up considerably from the year before. Four from the team – Nuwwarah, Op de Woerd, Pitt and Harris – all said the numbers were down, so they were off. On the flip side, five of us – Shillibier, Holloway, Epskamp, Cross and Herring – all said up, though no one was optimistic enough as high as the actual number. The technical winner by guessing the closest was Shillibier, who wagered 7,712. Which former WSOP Main Event champion, will make the deepest run in the 2018 WSOP Main Event? 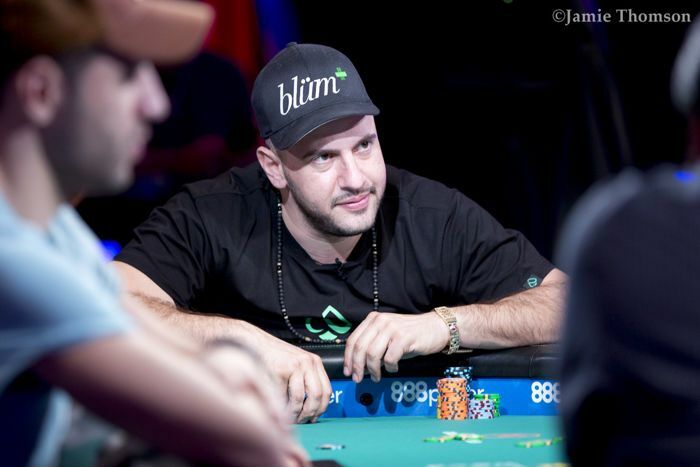 2009 WSOP champ Joe Cada had a remarkable run at the 2018 WSOP winning two bracelets and finishing fifth in the Main Event. The idea of him winning it again electrified the poker world, but did anyone guess he’d be the last champ standing? The answer is no. Lots of people guessed Ryan Riess, but the 2013 champ failed to cash. Out of all the former champs guessed only one actually made the money, so chalk half a point up to Shillibier, who said Johnny Chan. The two-time champ finished the 2018 WSOP Main Event in 612th place for $21,750. Ben Yu is second is POY race. Who will win WSOP Player of the Year? This one won’t be settled until the 2018 WSOP Europe later this year, but did anyone guess any of the current frontrunners? Epskamp guessed Mike Leah, who currently sits ninth on the 2018 WSOP POY leaderboard, so that was a solid prediction. However, the clear win in this category goes to Herring, who called for Ben Yu to have a big summer. Yu, who is currently second on the leaderboard with 3,746.04 points (behind Shaun Deeb’s 4,334.06 points), had 15 cashes this summer including $1,650,773 for winning Event #77: $50,000 High Roller. He also finished runner-up to Deeb in Event #42: $25,000 PLO for $866,924. Which established pro will finally win his/her first bracelet this year? Some longtime players who actually did win their first bracelets were Galen Hall, Jessica Dawley, Jean-Robert Bellande, Joey Couden, Ryan Leng and Yueqi Zhu. Shillibier was bold and his prediction paid off. 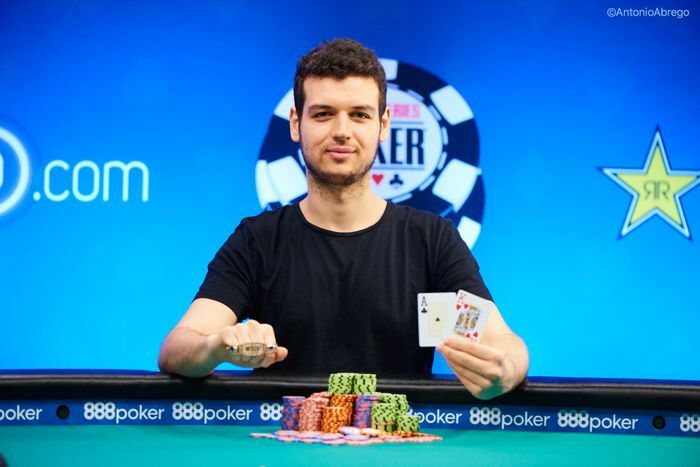 That’s exactly what happened as Bonomo’s $10 million win vaulted him up to $42,979,593 in tournament winnings and allowed him to leapfrog Negreanu, who sits with $39,656,197. Conclusion: When it comes to PokerNews soothsayers, Shillibier, Herring and Epskamp are the ones to listen to.